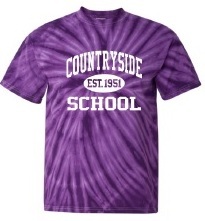 The Countryside Spiritwear Shop is opening for business Saturday, October 7th! Follow the below link to purchase Countryside gear for the whole family. There are several new items available this year, so be sure to check it out. A portion of every sale goes directly to the Countryside PTO!